Walk the walk of walks from the comfort of your seat. 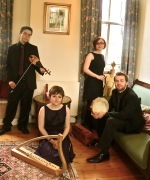 Let London's early-music group The Artisans whisk you to the Iberian Middle Ages of song and praise. Be stirred by Paulina Vanderbilt's poetic pilgrimage — a journey of reflection and observation. 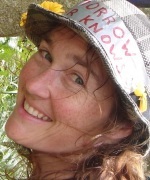 Enjoy Lucy Aykroyd's experiences on St James's Way in extracts from her walking diary. Come and share the highs and lows of the Camino de Santiago de Compostela — but without the sore muscles or the blisters. Ritual pilgrimage was an important part of medieval Christianity. Churches and places of worship would often be founded on sites where miracles took place or where religious relics were located. Music was an integral part of the pilgrim's experience and provided a language through which pilgrims of different nationalities could communicate. Songs and hymns of devotion to the Virgin Mary helped to give pilgrims the strength to travel the long distances. The music performed by the Artisans is taken from three collections, known as the Codex Calixtinus, the Cantigas de Santa Maria and the Llibre Vermell. See www.centeral.co.uk for more about the music. The poems performed by Paulina are from her book The Way — a poetic pilgrimage (Blue Salt Publishing), which will be launched at this event. 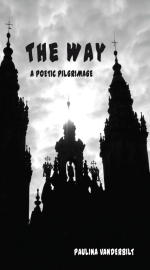 It is a collection of poems enriched with information on the Camino, Galician folklore, traditions and even cuisine, called a "lively mix" by Anna Crowe, who also describes the poetry as having "great verve and freshness and evoking landscapes and people with immediacy and empathy". See www.the-artisans.co.uk for more about the Artisans. 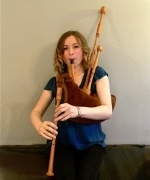 Emily Askew is an extremely versatile musician who plays recorders, vielle (medieval fiddle), bagpipes and fiddle. Her interests are wide and varied reaching from the deep roots of folk music through to medieval, baroque and contemporary repertoire. Yvonne Eddy is an exiled Geordie. 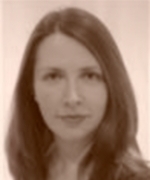 Yvonne studied music at the University of Manchester and the Schola Cantorum in Basel, Switzerland, before finally giving in and moving to London, where she now sings with many professional church choirs and chamber choirs. 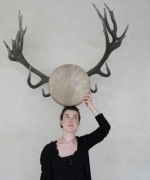 She directs her own medieval vocal group Levedy and is a member of the medieval ensembles Le Basile, Mediva and Vox Animae. 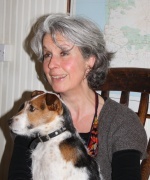 Hazel Askew is known on the folk music scene for her singing and melodeon playing, but she started her musical education on the specialist music scheme at Pimlico School, where she studied concert harp. 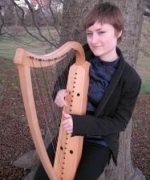 Sarah Stuart's interest in medieval and renaissance music has grown out of her early encounters with period performance as an apprentice on the Orchestra of the Age of Enlightenment's experience scheme for young players. Naturally artistic, this new venture follows on from an extended painterly period, adding a new facet of creative expression to her portfolio of life... an interesting and unexpectedly exciting sideline to being a freelance gardener, yoga teacher and Swedish masseuse.